where can i find the popularity of my site? I have a site and i want to know how many people visited it in the last week. where can I go on yola to find that? 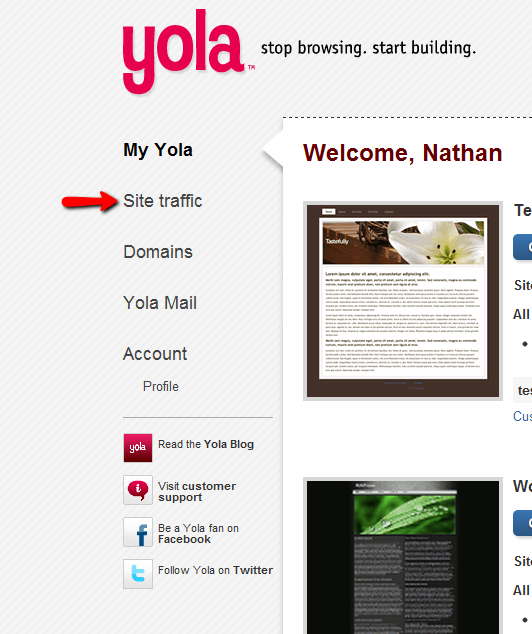 When you are in My Yola, simple click on "Site Traffic" on the side to see your website's analytics.